Ericsson (NASDAQ: ERIC) and MTS (NYSE: MBT), the largest telecommunications operator in Russia, have agreed to upgrade the network of MTS. Ericsson will deliver the newest software features that will be continuously developed during the next three years. The scope of the agreement also includes 5G-ready radio hardware, Ericsson Radio System and core network with the latest Ericsson Mobile Softswitch Solution (MSS), as well as User Data Consolidation (UDC), providing consolidation of user data for all network functions. These solutions will upgrade the mobile networks for 2G, 3G and 4G. In addition, MTS will prepare the network for 5G with Ericsson software for Massive IoT solutions, including NB-IoT and Cat-M1 technologies. This enables a wide range of IoT use-cases including metering and sensor applications. The agreement fully supports MTS’s strategy of preparing the network with 5G and IoT-ready hardware to enable a fast commercialization of these technologies. The deployment starts Q4 2017 and total value of the contract is expected to exceed EUR 400 million. “In April 2017, in Moscow our companies demonstrated 5G technology with peak data rates up to 25 Gbit/sec. Now we have reached an agreement with Ericsson, which will supply MTS new equipment enabling our network to deploy first solutions based on 5G technologies starting 2020. After upgrade, MTS network will provide higher data rates, increased capacity and low latency. These characteristics are critical for IoT and digital services that we are starting to implement today". According to latest edition of Ericsson Mobility Report, many operators will deploy 5G commercially from 2020, in line with the time plan for 5G standardization. In 2022, the number of 5G subscriptions is forecast to reach more than 500 million. The adoption rate of 5G mobile broadband is expected to be similar to that of LTE, and rollout will commence in major metropolitan areas, reaching around 15 percent population coverage by 2022. 5G will enable a wide range of use cases for massive IoT and critical IoT. This announcement represents a milestone in the large-scale commercialization of IoT and 5G technologies in Russia. It follows the agreement of an extensive 5G Memorandum of Understanding signed by MTS and Ericsson in December 2015. 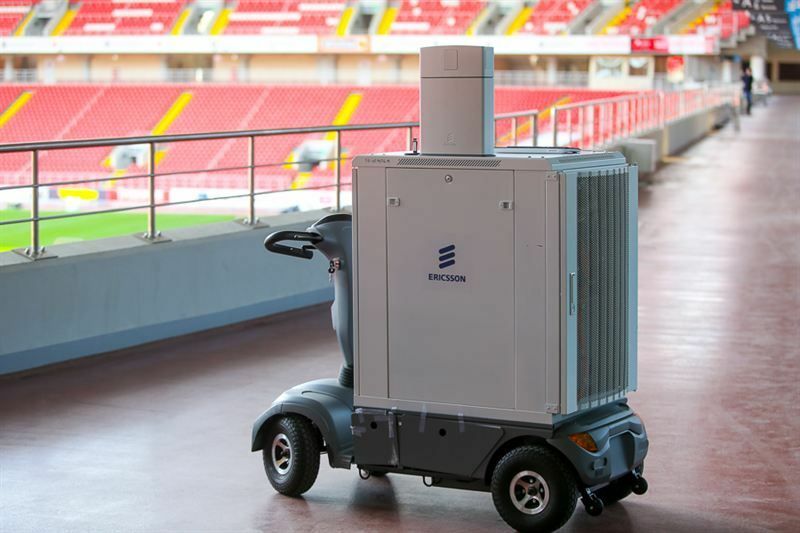 To further demonstrate the capabilities of 5G and IoT technologies, the two companies will roll out 5G demo zones during FIFA 2018 World Cup in Russia.